In all eye troubles: Conjunctivitis, inflammation, redness, loss of sight, double vision due to injury, Arnica is the first remedy. If there is no improvement in pain and inflammation after 2-3 doses of Arnica (after about 2 hours) give Hypericum. Ptosis, ecchymosis of conjunctiva and eye-lids from injury caused by blunt objects. Suppuration of eye due to injury, after operation. Conjunctivitis, inflammation of eyes due to injury. Eyes red, inflamed, feel dry and hot. 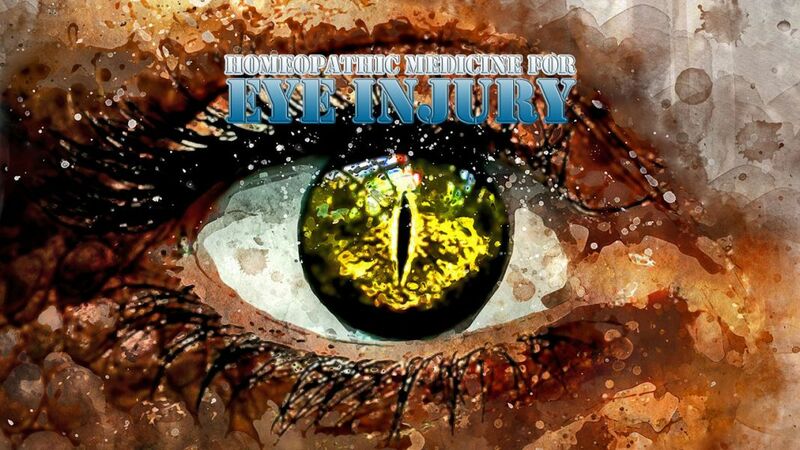 Inflammation of eye, conjunctivitis from injury to eye. Profuse hot or acrid tears. Useful in blunt trauma to the eye. Trauma to the eye and orbit by a ball, fist, punch, cane. All the medicines mentioned above for eye-injury should be given every 15-20 minutes.